The key to rope access services is multi-functionality. 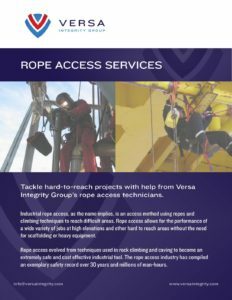 Without which, rope access would not create the cost-savings and efficiencies that it does. Rigging and rope access are another logical combination of services that allow more work to be done by one contractor. Ultimately, that saves you and your facility crucial budgeting dollars that can be spent on other pressing issues. In this case, our rope access technicians team up with our expert riggers who work with cranes and air tuggers to position heavy equipment, hang stages to mitigate hazards/contain hot work, and even build access for non-rope access workers. 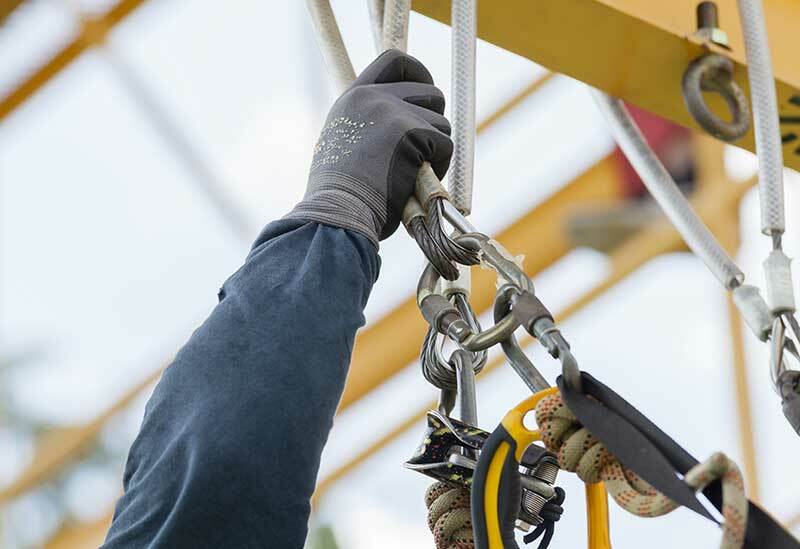 These services promote safety and efficiency that cannot be realized without experienced rope access teams. Although already stated above, it is the combination of services that truly create value for your facility. We get that, and have formed our company around our customers. We offer these services in conjunction with each other, to realize cost-savings, or alone. Not all facilities require the same rope access services. This means that we take the time to assess the situation, learn what your budget is, and create a solution that will work for you. This level of support and service is unparalleled.